A traveller as much as an artist, Kim Churchill has lived on the road for years, but it was no longer enough just to pass through; for Kim it was time to show that world in his songs. After The Sun, the warm, loping first single from a new project where each song taps into the people and environments of some of his favourite parts of the world, is Kim showing the value of a new way of thinking, of writing … of living. The exciting and unique new project will see Kim release four EP’s over time, that were written and recorded in Germany, Canada, Australia and the UK respectively, in collaboration with local artists and producers. 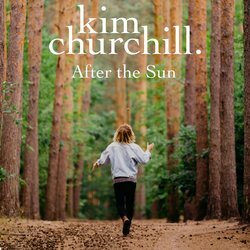 In the coming weeks Kim will unveil worldwide tour dates and an accompanying music video for ‘After The Sun’.